Setting up a podcast is one of the best and most effective ways to present information to your audience. Don’t be afraid of starting your own digital radio show, digest, or serialized audiobook – creating them is not difficult, even if you do it at home. For producing good podcasts, you’ll need to get proper sound capturing equipment – most importantly, a microphone and headphones. 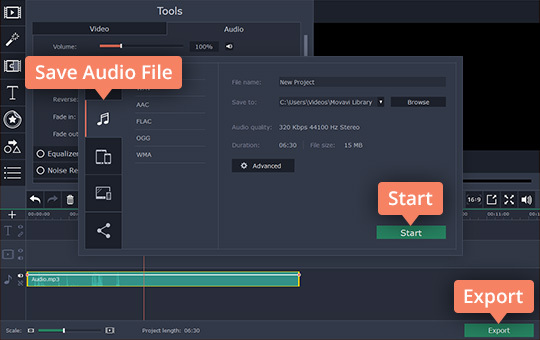 Plus, any podcast creator needs reliable software for making and editing audio tracks. 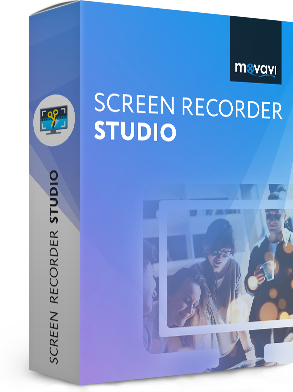 Try Movavi Screen Recorder Studio: it’s functional, fast, and very simple to use. It will help you to become a podcast producer in no time: just capture your voice, add some music, and edit the result so it’s just how you want it. Screen Recorder Studio, as its name implies, is much more than just a podcast generator; it’s also a powerful tool for capturing and editing streaming video and screen activity, saving Skype calls, ripping webinars, and a whole lot else besides. To learn how to start a podcast with Screen Recorder Studio, just download the appropriate version to your PC or Mac below and follow this short guide to podcast creation. Launch the setup file you’ve just downloaded and follow the instructions on your screen. Once the installation process is complete, the program will open automatically. When the program launches, you’ll see a start window with different options. 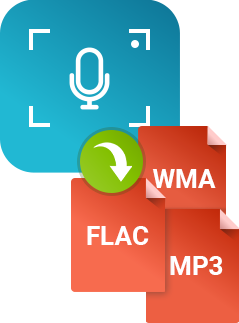 To capture your voice track, open the audio recorder by clicking Record microphone. 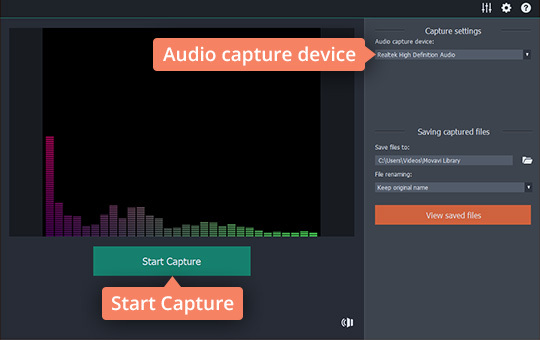 Now choose your audio capture device from the drop-down menu and click Start Capture. To finish recording, click Stop Capture. Go back to the start window and click Edit video to open the built-in editor for video and audio files. In the new window, click Add Media Files, select the previously saved audio file, and click Open. Now you can adjust your track however you wish: delete unwanted elements, set the audio volume and speed, even add background music behind your voice. To edit the audio track, select it on the Timeline. If you want to cut unwanted elements, place the red marker at the beginning of the segment you want to cut out and click the scissors button. Then move the red marker to the end point of the unwanted segment and click the scissors again. Now you can delete the separated piece by selecting it and clicking the trash can button. The remaining parts will be joined automatically. If you want to link up another track or add background music to your digital audio show, click the Add Media Files button again and select the desired audio file. It will be linked automatically to your voice recording. Click and drag it down to create a separate track and use the additional audio as the background music. To access the complete set of audio editing tools, select the audio on the Timeline and click on the Audio Properties button. 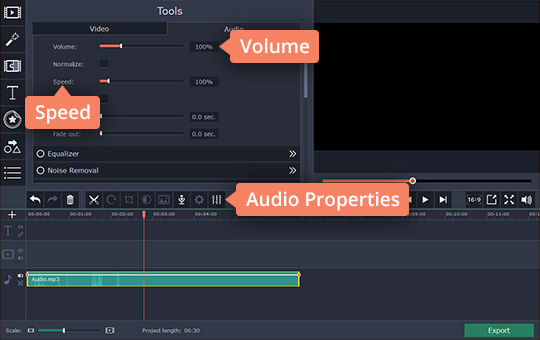 This will open the Tools tab, where you can change the Volume and Speed of your recording, normalize, denoise, or reverse it, and even apply special effects. If you’re satisfied with the result, save your audio track by clicking the Export button. In the new dialogue window, open the Save Audio File tab and choose the format, folder where you want to save the file, and the filename. Finally, click Start. Congratulations! You’ve just produced a podcast, and now you can do whatever you want with it: share it with friends, upload it to your blog, or add it to a popular website and wait for it to become popular! With Movavi Screen Recorder Studio, podcast production is really easy. Just try it and you’ll soon be a skilled podcast maker! Your all-in-one package for working with multimedia files. 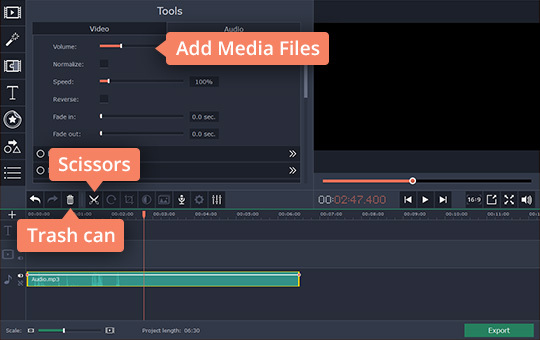 Create movies with titles and effects, capture videos from screen, convert media files to any format, burn Blu-rays, DVDs, and CDs.